A transmission changes the gears of an engine, transferring power to the wheels to move the car ahead. Like an engine, the transmission has many moving parts, which all need to be kept lubricated and cool to keep the transmission working properly. That’s why it’s important to always have enough fresh, clean transmission fluid. There are different ways to determine if the fluid is dirty or running low. 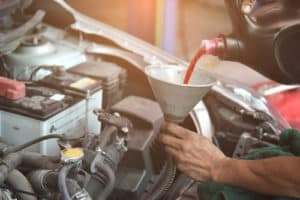 Our team at BMW of Stratham will go over how to check different transmission fluids and where you can get it looked at near Stratham, Portsmouth, or Exeter. In order to check the automatic transmission fluid, you’ll want to look for the dipstick handle that’s sticking out of the transmission under the hood. In a rear-wheel drive vehicle, it’s located toward the back, behind the engine oil dipstick. In a front-wheel drive car, the transmission fluid dipstick is sticking out of the transaxle, toward the front. Pull out the dipstick: Do this when the engine is running (so that it stays warm) and when the vehicle is set to Neutral or Park. Check the fluid: Dip the tip of your finger into the fluid that’s on the dipstick. You’ll then want to rub the fluid between your finger and thumb to check the color and consistency. It should be pinkish and almost clear. It should also be free of particles and not look or smell burnt. 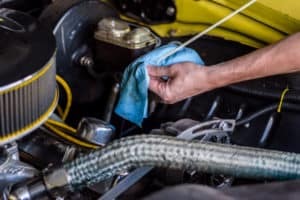 Wipe the dipstick with a clean rag, reinsert it, and pull it out again: This is to check the fluid level. If the fluid is clear but doesn’t reach the Full line on the dipstick, then more fluid will have to be added. It’s important to note that your vehicle shouldn’t lose automatic transmission fluid in normal operation. If the level is down, there’s a good chance that there’s a leak somewhere. So, you’ll want to have a service professional look at your vehicle immediately to avoid possible damage to the transmission. If the transmission is damaged, it’ll have to get replaced, which costs more than a simple fluid change or top-off. Vehicles with a manual transmission won’t have a dipstick. So, in order to check the fluid, a technician must hoist the car up to a reach a plug that’s in the bottom of the transmission. They can also determine what kind of transmission fluid your vehicle needs. Many newer transmissions require different fluid than older ones. Plus, because there are so many different kinds of transmissions out there, it’s better to have the professionals determine what of fluid type your car requires.  If you need your transmission fluid checked, then schedule service at BMW of Stratham. At our state-of-the-art facility, you’ll find a team of highly trained and certified technicians. They have the skills and knowhow to work on your car’s transmission quickly and efficiently. Plus, they’ll only use high-quality fluid to help keep your vehicle running well for many years and miles. If you live near Stratham, Portsmouth, or Exeter, don’t wait. Schedule a transmission fluid check with us today!